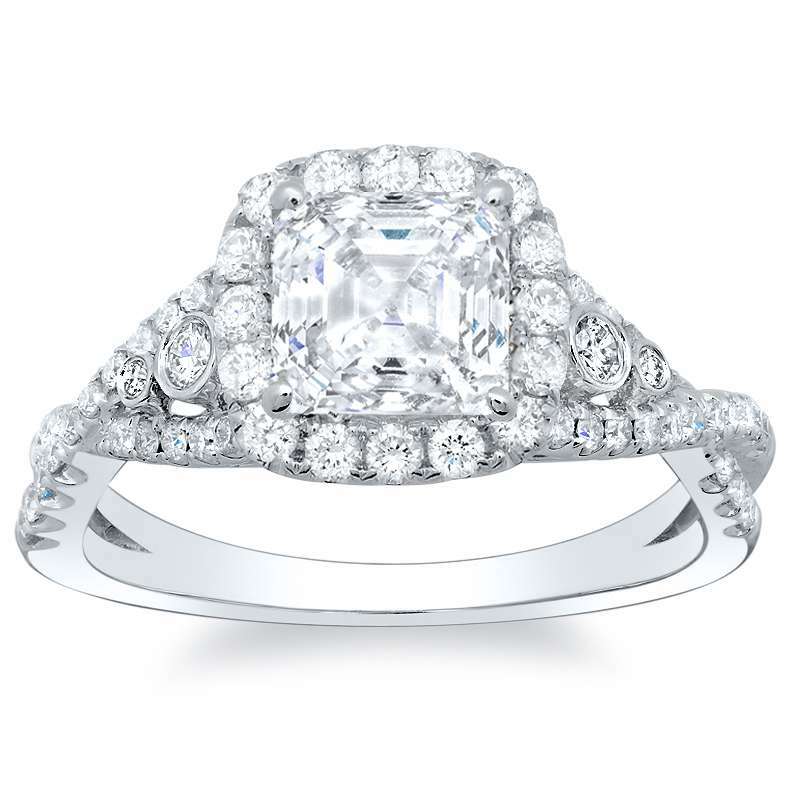 Stunning accent diamonds sparkles in this elegant engagement ring double halo setting. 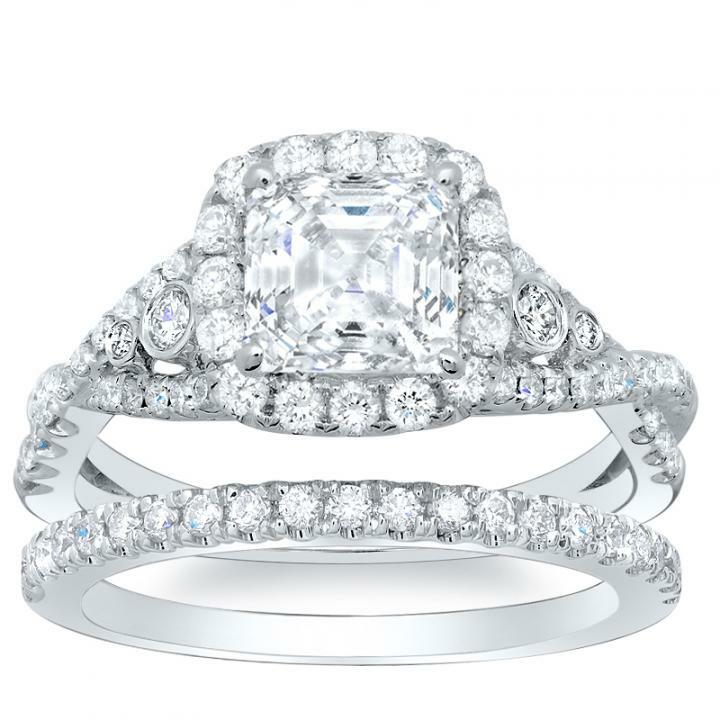 Most suitable for setting with your splendid Cushion cut center diamond, the split design of this setting makes it stand apart from the rest! 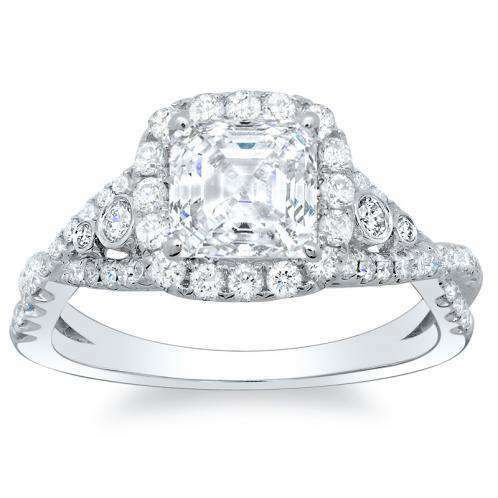 Finding the right cushion cut halo engagement rings style for your intended can be a challenge, but DiamondMansion.com's marvelous assortment of elegant halo settings and 100% natural, untreated diamonds makes finding the perfect ring easy!